In a meeting held at the headquarters of the Catholic Students Association of Indonesia (PMKRI) on Jl. Sam Ratulangi, Jakarta, dozens of organisations joined under the United National Opposition agreed to strengthen unity and declared that Susilo Bambang Yudhoyono’s government has failed in leading the nation. This assessment is based on the fact that the government of SBY-Budiono is a subject of foreign interests, practices liberal democracy that marginalise the role of the people, and failed in controlling the price and fighting corruptions. The United National Opposition consists of Muhammadiyah Students Association (IMM), the Indonesian National Student Movement (GMNI), Muslim Student Association – Assembly Rescue Organisation (HMI-MPO), the Indonesian Islamic Students Movement (PMII), Petition 28, the Students’ National League for Democracy (LMND), the People’s Democratic Party (PRD), Volunteers for the Struggle for Democracy (Repdem), GR2B and GAPURA. Faisal from Repdem Jakarta opened the discussion by reminding that they should avoid creating the impression that Yudhoyono-Budiono government has only been in power for a year, while in fact they are part of the previous failed regime that has ruled since 2004. Besides preparing a protest on the first anniversary of Yudhoyono-Budiono government on October 20, they also expressed the determination to make the front sustainable. “The important thing is to make the protest action on the 20th as a turning point to strengthen the united front” said Zain from the IMM, who was elected to be the Field Coordinator for the protest. IMM Chairperson, Ton Abdillah, calls for the establishment of a Council that will take decisions and the Working Body that will be responsible for the works in the regions. These will provide a democratic mechanism that is expected to prevent undemocratic and counter productive actions against the unity of the movement. This refers to the disrcuption during the Discussion Seminar on the First Anniversary of Yudhoyono-Budiono leadership at the IMM headquarters on Wednesday (13/10), carried out by the Center of Students’ Struggle for National Liberation (PEMBEBASAN) that used to be involved in the front . 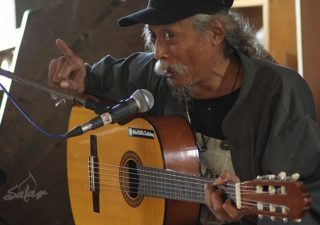 It was Mutiara Ika, the chairperson of PEMBEBASAN, who suddenly seized the microphone from one of the speakers, Rizal Ramli and yelled to demand him out of the forum. 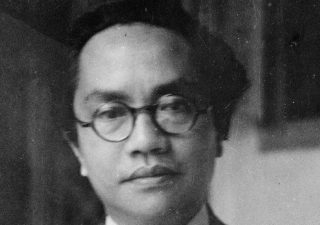 Ika and her friends believed that Rizal Ramli should not be the speaker of the meeting because they accused him as a part of the political elites. However, Ton Abdillah has denied the accusation by stating that they just want a broad unity among all progressive groups to save Indonesia from destruction. This includes progressive economists like Rizal Ramli who has been one of Yudhoyono’s main opposition and critics of his neoliberal policies. Lalu Hilman Afriandi, the chairman of LMND believes the success in overthrowing the neo-liberal regime relies entirely on the broad unity of various social sectors that have become victims of the neo-liberal regime. Therefore he thinks that PEMBEBASAN activists fail to identify friends from foes, and he believed that their act has benefited the regime. However, the unexpected disruption during the public discussion did not stop the movement from building a unity and taking to the streets on October 20. In the protest, the United National Opposition will launch a petition that exposes the failures of the Yudhoyono-Budiono government.